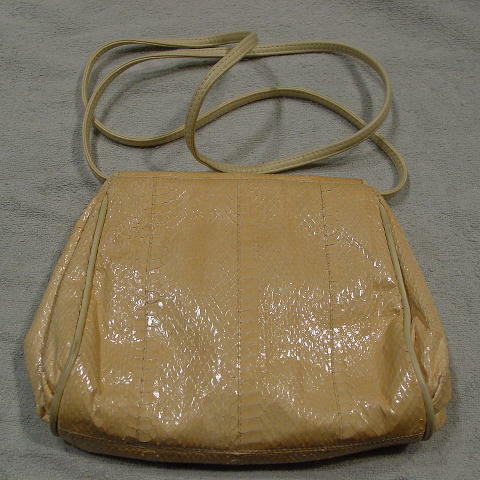 This vintage light cream-maize snakeskin purse is by Lauren Alexandra and was made in Hong Kong. 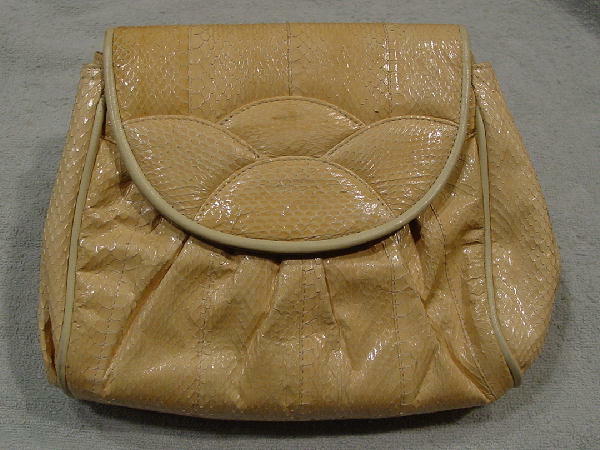 It has a bone-beige leather interior with a zipper compartment that has a nice bone fabric lining. There is a 48" long bone color strap and bone accent leather cording edging the font flap, and on two places in the front and back. Under the front flap is a magnetic closure. The dark bone leather lining has age crinkling. It has an interior zipper compartment with a thick fabric bone lining.